Between a lack of funds, electrical problems, and having a new daily driver, my poor old Yaris has been gathering dust for the past couple of years. So, I decided to slowly restore the car back to its former glory, as time and budget allows. The next step was very important... My lovely Momo aluminium and leather shift knob has not taken kindly to years of palm sweat and just crumbles in my hand. So I looked around the local version of eBay for a good replacement made of plastic (hot weather + metal knob, kinda painful sometimes), and today I received it! 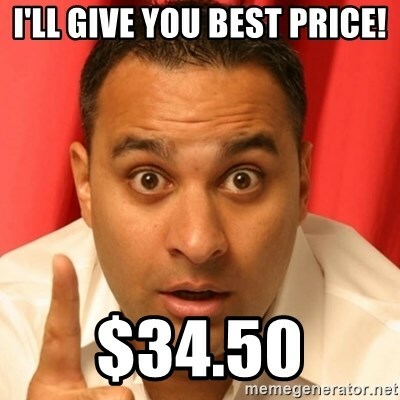 Did Russell Peters offer to buy the Vitz? I got a Noco Genius charger for the FR-S since I don't drive her too much after getting the Yaris. Warning! Graphic images of stripping! Keeping the carpet on the driver side, no good place to put my feet without it... for now? Had a talk with the GF the other day, it turns out that if you have something called "a budget", you can actually save up some money to get parts... Gonna have to give that a try! So, next stage will be some tires, best bang for my buck over here seem to be Dunlop Direzzas DZ102's, and I might even go a bit crazy and get them in a nice phat 205/50R15! Can't wait to see the final result. I wonder what's happening with project restore?